Why did the man hold a shoe to his ear? Because he was listening to sole music. 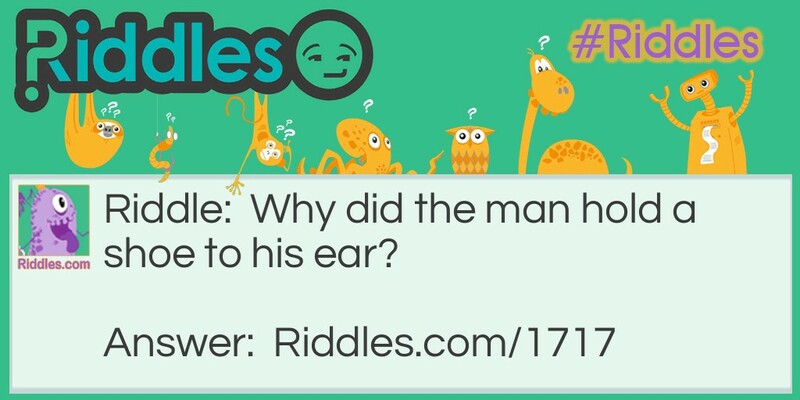 Ear Shoe Riddle Meme with riddle and answer page link.